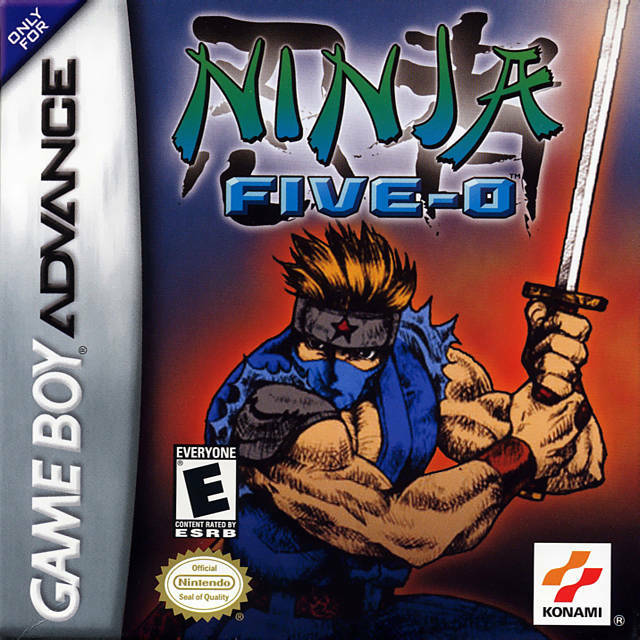 This is an awesome game that plays something like a combination of Shinobi and Bionic Commando, a great old-school style action platformer with the benefit of more modern graphics, definitely a must-play for fans of those sort of games. Don't let the insanely cheesey title and cover art throw you off, this is a great game. You play as the titular ninja and you platform, and there is action. You get a grappling hook as well, so that is where the bionic commando elements come in. Just play it, it is an action platformer so you know what to expect, but it is certainly a good one. One of the most highly overlooked games on the gba, but is one of the greatest. 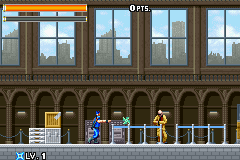 Most of the action is shinobi style, while platforming is done Bionic Commando style. Except, you know, you can jump. Definate 5/5. Now you can add videos, screenshots, or other images (cover scans, disc scans, etc.) 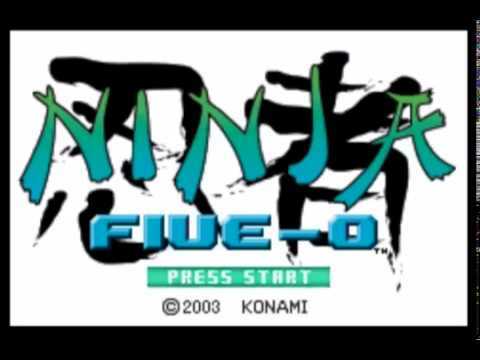 for Ninja Five-0 (U)(Trashman) to Emuparadise. Do it now! If you haven't noticed yet, we have a retro game of the day feature (top-right of the screen) wherein we feature a new retro title every single day! Now, you can vote for your favorite games and allow them to have their moment of glory. 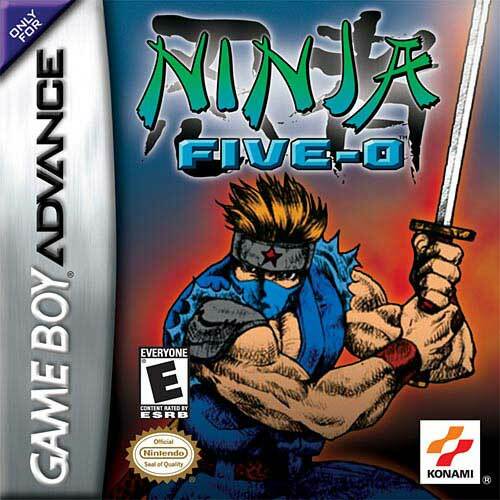 Click on the button below to nominate Ninja Five-0 (U)(Trashman) for Retro Game of the Day. 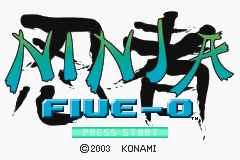 You have the option of playing Ninja Five-0 (U)(Trashman) in your browser, right here at EmuParadise! No need for any software, no installations required, all you need is a fast enough PC and a browser with Flash support. This is great if you're on a PC with restrictions on software installations or want to secretly play at work. �  ADVANCE POWER RELEASED THE EUROPE COPY OF THIS GAME. �  HERE IS THE FULL USA VERSION FOR EVERYBODY.